The iconic footwear of Christian Louboutin may be synonymous with sky-high heels and eye-catching red soles, but this pop-up space showcases the brand’s wide range of men’s footwear, with an expert edit of the autumn/winter collection designs that encompasses classic city styles, winter boots, sneakers and dress shoes. Accompanying the footwear is a full range of leather goods, from weekenders and briefcases to passport covers and wallets. 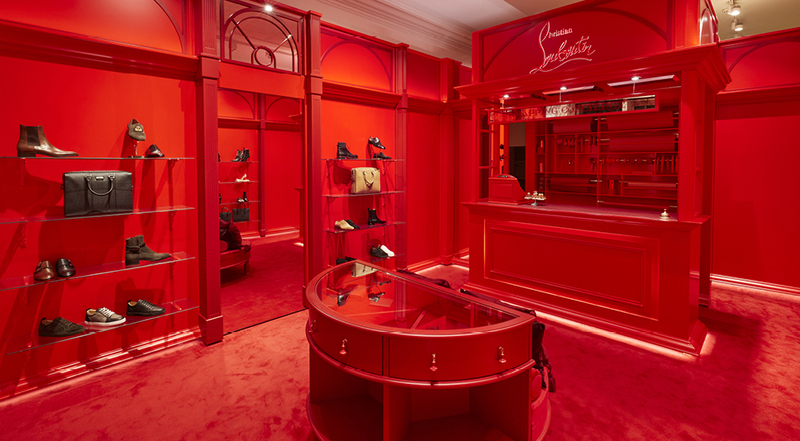 Ladies are not overlooked, of course; the boutique also offers a capsule collection of flats, ankle boots and Christian Louboutin’s famous heeled pumps in classic and party-season styles, alongside a small selection of leather city day bags and decorative evening bags, wallets and keyrings – perfect for Christmas gifting. Exclusive to The Royal Exchange pop-up, Christian Louboutin is offering a complimentary gift-wrapping service, complete with a bespoke wax seal stamp, to ensure every purchase is perfectly presented and ready to pop underneath the Christmas tree. The Royal Exchange also welcomes women’s swimwear specialist Melissa Odabash, with a range of silhouette-enhancing beachwear, specially designed to sculpt and flatter all body shapes. The Melissa Odabash anniversary collection will be a key focus of the pop-up boutique, with metallic cocktail dresses and jumpsuits that are perfect for the festive season, whether you will be celebrating at home or abroad. With complimentary gift-wrapping and promotional offers available in store, it’s the perfect opportunity to treat yourself or someone special to some wardrobe updates for the party season and beyond, to winter sun escapades and summertime adventures. Exquisitely crafted leather goods are the name of the game at Bucklesbury. Its colourful array of bags and accessories for women and men are designed in Britain and handmade in Italy. 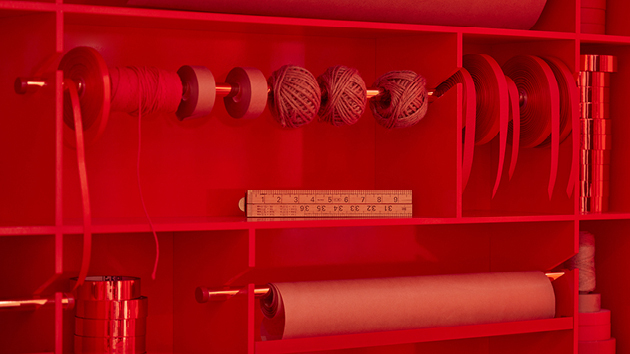 Artisan craftsmen use their expert skills to ensure the unique character of each and every item is enhanced and finished to an exceptional standard. 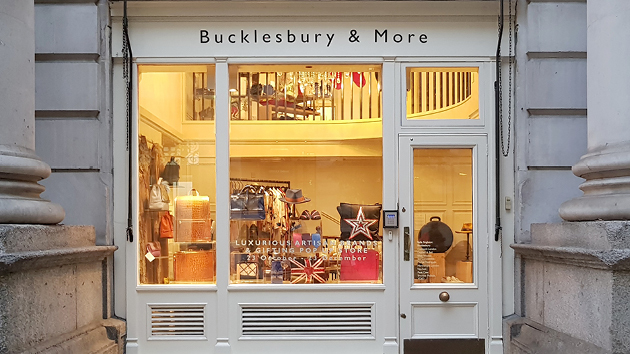 Bucklesbury has invited 14 other British brands to join its pop-up at The Royal Exchange, furthering the boutique’s offering to include a range of luxury goods. Discover Bella Singleton silk scarves, Connock London fragrance and skincare, Marcel Rodrigues headwear, Nui Ami loungewear and much more in this seasonal treasure trove of British design and craftsmanship. With further seasonal pop-ups and festive activities such as masterclasses, promotions and special events still to be announced, keep an eye on The Royal Exchange events page for the latest updates.